Beautiful 2 bed (+sleeping nook), 2 bath cabin built in 2012 has an open floor concept, and is within easy walking distance to shops, restaurants and lake. When entering, the wide pine plank ceiling and flooring and the river rock gas-burning fireplace beautifully compliment the living area. Enjoy relaxing on the deck or cozy up on the couch to watch TV on the new flat screen TV. Short walk to the village shops and restaurants. Shaver Lake is less than a mile down the road and Huntington Lake and China Peak are only 17 miles up the road. My husband Ray & I purchased the home with our daughter Rebekah and son in law Jarrod. They have two children Jameson and Presley. We have been coming to Shaver Lake with our three children for over 30 years. Now that they are grown and two are married we are loving the opportunity to enjoy the area with our grandchildren as well. We have always dreamed of owning a cabin at Shaver and when we found this one for sale we couldn't pass up the opportunity. We fell in love with the cabin, the design and the location. The location is perfect as we are a short walk to the village and the lake is just down Dorabella road. We enjoy spending time at the lake, boating, tubing, wakeboarding and skiing. Our children learned to snow ski at China Peak and wakeboard at Shaver Lake. We are looking forward to watching our grandchildren learn as well and making wonderful memories with our family. Responsive and very friendly owners! Everything was clean and as described. We’ve stayed in rentals in the past that really needed some care and attention, but this one had everything in great condition. It was the perfect little cabin in the mountains. My only complaint would be that the bed in the master was very squeaky and was uncomfortable for us. Might work well for others though depending on their age/backs. But we simply stayed in the reading nook instead and it worked great for our backs! Yes we would stay here again. Very nice clean updated cabin. Handy to have town of shaver lake within walking distance. This cabin was perfect for me and my son's family including my grandsons ages 6 and 4. We loved being close to town and we did not even have to drive anywhere for snowplay. The cabin was clean and very comfortable and we all enjoyed our stay there. So glad you enjoyed your stay! Thank you for taking the time to leave a review, we hope to hear from you again in the future. My husband and I had a fantastic time! The cabin Decor was wonderful, the cabin itself is extremely comfortable. 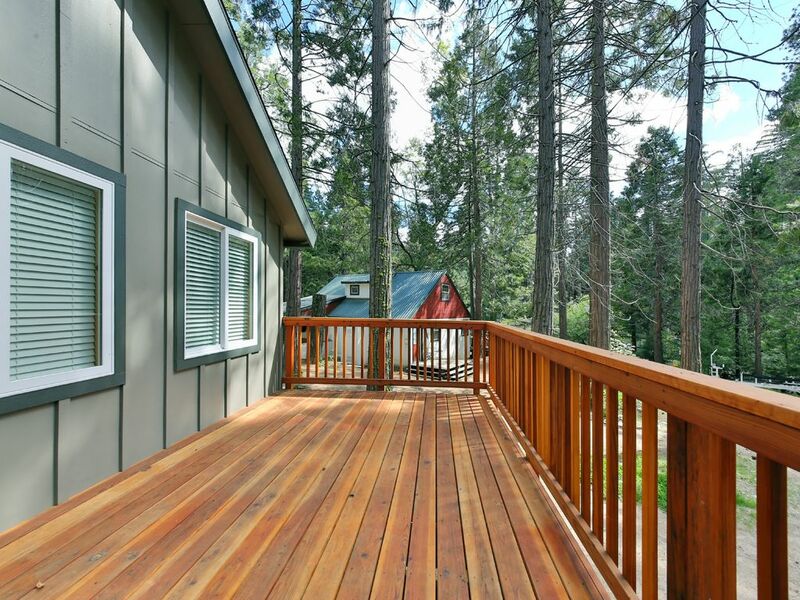 We will definitely be using this cabin for any future visits to shaver Lake. I highly recommend. A very nice lay out. Clean and cozy. We enjoyed this cabin all over gain. Thank you Love Family. Great location in the West Village! Within walking distance to the Village and shops, restaurants. Close to the lake and 17 miles from China Peak ski resort.